Dr. Carl H. Dahlquist is proud to continue his family’s legacy, spanning three generations, of providing great dental care. Since 1941 the Dahlquist family has practiced dentistry. In 1983, Dr. Carl H. Dahlquist graduated from the University of Missouri, Kansas City School of Dentistry and has served the greater Kansas City area from their Blue Springs, MO location. 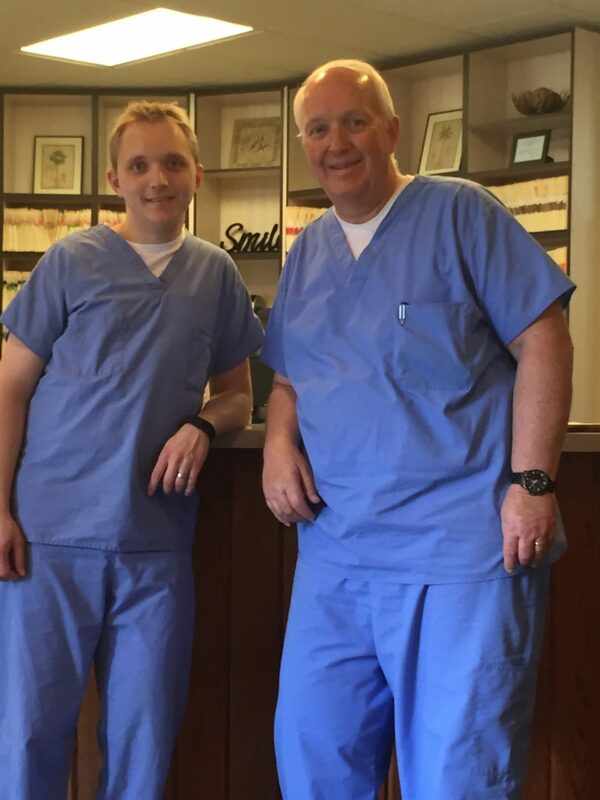 Dr. Carl H. Dahlquist welcomed his son, Dr. Ryan Dahlquist, to the Dahlquist Dental practice in July 2015, starting the third generation of dental providing. Dr. Ryan Dahlquist has practiced dentistry for several years. He received his DDS from UMKC School of Dentistry. He completed a residency in general practice dentistry at Truman Medical Hospital. During this time he advanced his skills in implants, sedation, oral surgery, cosmetics, and pediatrics. He is a member of the American Prosthodontic Association, Chicago Dental Society, Missouri Dental Association, and American Dental Association. Dr. Dahlquist loves spending time with his wife, Ashley and their daughter Jozlynn. He is an avid sports fan who loves to support the Chiefs and Royals.